FL landlords, if your tenant is in breach of a lease condition other than paying the rent on time, serve him/her with this Florida Notice of Termination for Noncompliance (Other than Failure to Pay Rent). The Notice is given in accordance with Section 83.56(2)(b) of the Florida Statutes. 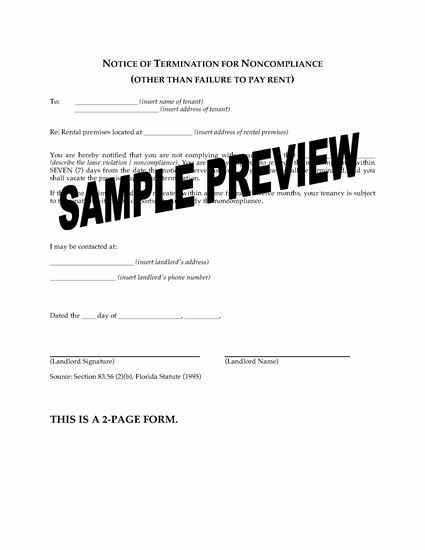 The tenant is given notice that s/he is not complying with the lease and must remedy it within 7 days or the lease will be terminated and the tenant must vacate the premises. 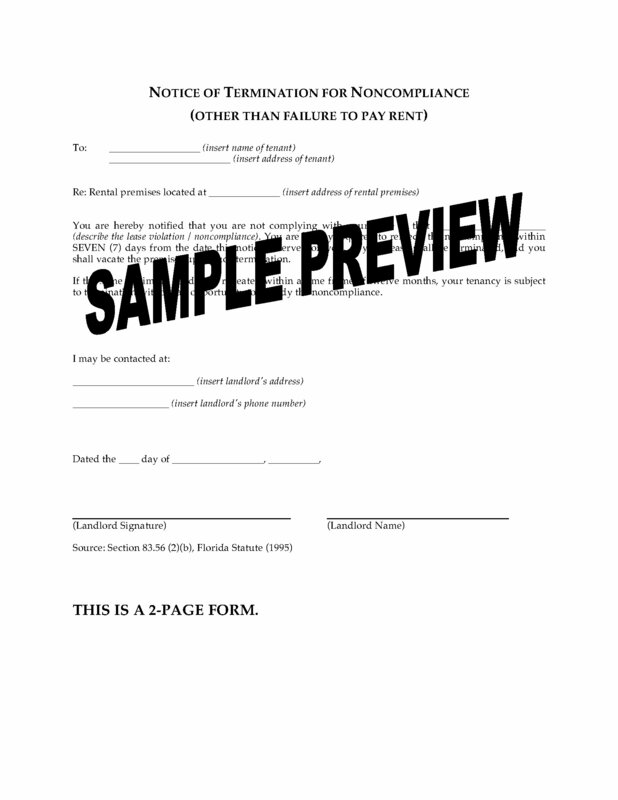 This Florida Notice of Termination for Noncompliance (Other than Failure to Pay Rent) template is provided in MS Word format, and is fully editable.